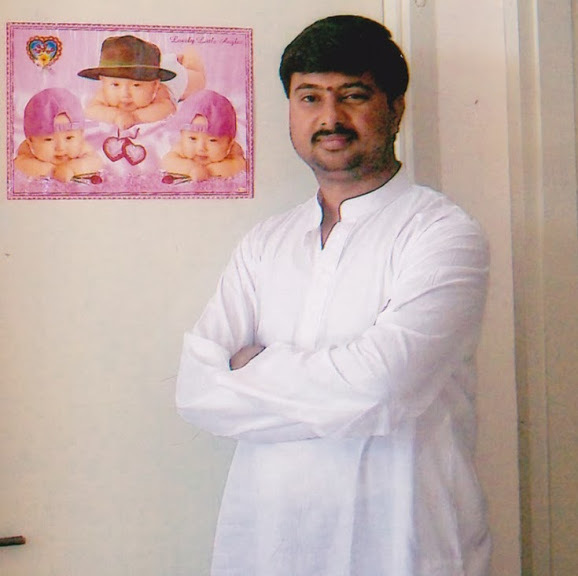 B.V.Venkataramana was born on 07/07/1980 at Hindupur, Anantapur district, Andhra Pradesh. Later he completed primary and secondary education near Tirupati. He started his education in Sanskrit at the age of 16 years in Rajahmundry. He Mastered Vyakarana Shastra under the guidance of Shri Kompella Satyanarayana Shastri in Rajahmundry itself. Later he Mastered Nyaya Shastra under the guidance of Shri K.E.Devanathan in tiupati. He has many achievements to his credit such as receiving a title as Nyaya vidwat pravara and vyakarana Vidwat pravara by the holy hands of his holiness Shri Sringeri Jagadguru. Vyutpattivada Ramarudri, a commentary on Vyutpattivada was edited by him was published by RSS, New Delhi.